Welcome to our Youth Karate Program for Ages 7-14. This program is designed to teach life skills in an age specific curriculum that is fun and engaging. Our Youth Martial Arts Program gives your child the tools to succeed at home and in school. Our structured Youth Martial Arts Program teaches children how to focus their attention and learn self-discipline. They will also learn respect, courtesy, and build confidence through the positive reinforcement based training. They will gain essential physical skills from the program including improved coordination, control, and fitness levels. You and your child will have confidence knowing that they can safely act when faced with a bully or a stranger. 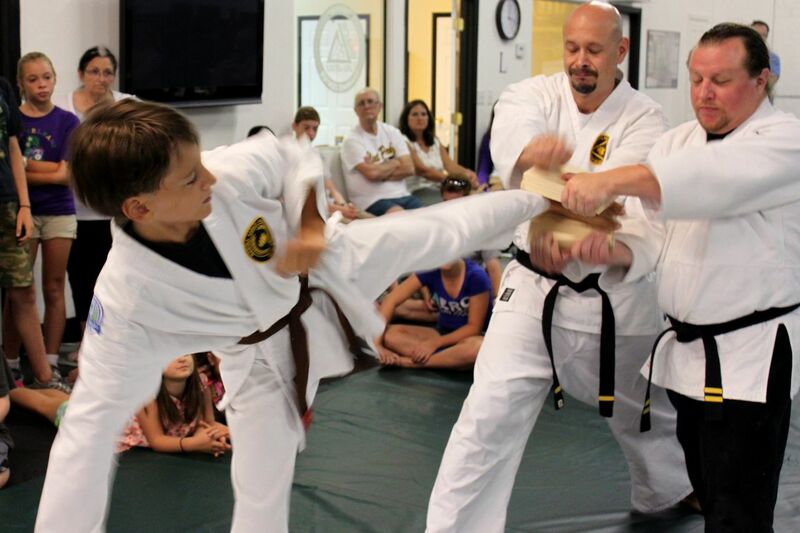 The Youth Karate Program is taught in a fun and friendly atmosphere, with its certified instructors focused on safety. The curriculum is goal based with students earning stripes that motivates them to continue using the life skills in and out of class. Getting started is easy! We offer an introductory course which is 3 lessons and a uniform all for just $25.00! This is a great way to experience martial arts with no obligation. Call and schedule an appointment to take the Introductory Course today, or Fill out the form to the right and we will contact you! It's easy to get started! Try our introduction course! 3 Classes Includes uniform $25.00! Submit form below for more information!